Home Media NDIGITEC Can Your Business Card Speak On Behalf Of You? Dubai: NDIGITEC, the leading UAE-based innovative, media, creative production company, launched their latest solution –Augmented Reality Business Card. This innovative solution offers companies new opportunities for brand engagement and experiences like never before. The solution allows companies to engage their target audience through its own Augmented Reality App published on the Google Play and Apple App store. The target customer can then download the App for free and scan the tracker (printed on the company’s business card)with their smart phone or tablet devices and view media content of the company. The solution helps companies in driving profitability with consistent communications with customers.This new age technology is not only a shot in the arm for businesses but also gives them a clear competitive edge. The innovative concept of the AR Business Card can also be incorporated onto a wide range of marketing collateral such as business cards, brochures and custom-printed merchandise such as t-shirts, mugs, calendars, mouse pads and more. The content showcased on the App can be updated frequently to maximize customer interaction periodically.It underlines the futuristic business outlook that companies need to capitalize on interactive opportunities to engage with their customers through innovative solutions. Companies can request for theircustomized AR Business Card by placing their order online at Dubaiprint.com. Yeghig Bekerian, Executive Manager of Dubaiprint.com said: “Marketing materials need not be static; they can be completely dynamic in nature by incorporating the latest AR business solutions. 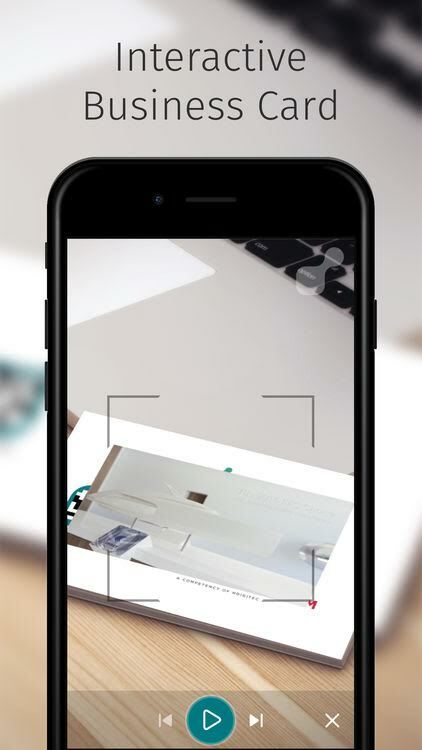 NDIGITEC adds value to the AR Business Card solution by offering to develop media content for companies specific to the App and in general as well”. As an example, Dubaiprint.com invites companies to explore the solutionthrough the NDIGITEC AR Business Card App as a reference, which is currently available on the Google Play Store for Android devices and for iOS devices on the Apple App Store. NDIGITEC [Namma Int’l Digitec FZ LLC], services the needs of the entire graphic arts industry, media, and brand owners with over 75services structured to meet the demands competently. With over 500 customers spread across 25 countries and with skilled teams working around the clock, it is well equipped to deliver on its promises to customers. Overall, NDIGITEC is a meeting point of technology and creativity.